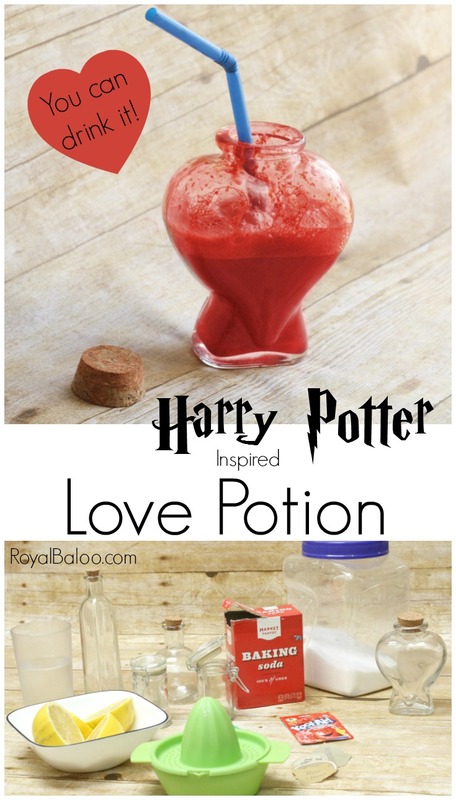 This Harry Potter love potion doubles as a science experiment and a yummy treat. Learn about acids and bases with a bit of potion making fun. Combine little glass bottles, a tasty drink, and Harry Potter and we’ve got a good afternoon for the kids. Make it a science project and you’ve got a happy mom, too. Learn about Acids and Bases with this sweet lemonade drink! Don’t be Valentine-less this holiday – just use Amortentia (Love Potion) and have the infatuation of whomever you want for a full 24 hours. Be warned – infatuation is annoying. Your victim admirer will remember everything embarrassing thing they did. And it’s not really real! This is actually a super fun STEAM project to do with your kids while pretending to be wizards! Just maybe try to emulate a different professor than Snape when teaching your Potions lessons. Start by preparing your potion ingredients. Whether you do this before the experiment or with your kids is up to you. Squeeze the lemons and add to a bottle that says “Moonstone”. I left water as water. I was trying to follow the official recipe for Amortentia. Because, why not? 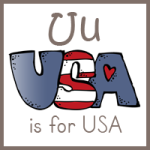 You can download the labels I made from a link below. Or make your own! These literally took me 5 minutes in Canva! Add 1 tsp of Kool Aid into your container. Add 1/2 tsp of Baking Soda into the countainer. Add about 2tsp sugar (or more to taste). Our concoction was pretty tart but quite enjoyable. Adjust sugar as necessary to obtain the right taste. It doesn’t take much baking soda and lemon juice to make a lot of bubbles, but the baking soda will not help the taste. We first tried 1 tsp and it was too much baking soda to drink in that small bottle. 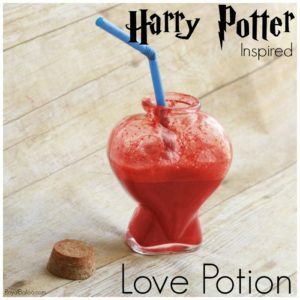 What is the Science Behind Harry Potter Love Potion? In chemistry, when we combine two substances and something happens, we call it a reaction. A chemical reaction. Baking soda is a base. Lemons contain citric acid which is an acid. When we combine the base and the acid a chemical reaction occurs. But why? If we look at a pH scale, we would notice that the numbers range from 0 to 14. Bases are any number over 7 and acids are any number under 7. However, the higher or lower the number, the strong the acid or base. When an acid and base are combined, they react and produce a product with a neutral pH (in our case, water!). This reaction produces Carbon dioxide gas (the bubbles), water, and sodium citrate.